Tybee Island homeowners can remodel or renovate their kitchen with Tybee Island general contractor American Craftsman Renovations. We work with homeowners to help them accomplish their remodeling projects, no matter how big or small they may be. 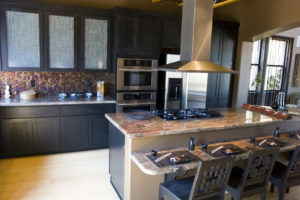 We can renovate your existing kitchen to give it a fresh look, or if you are looking for a total gut job, we can remodel your entire kitchen, providing you with a unique design with custom cabinetry. Creating the space you want in your home can help bring the family together, as the kitchen is often one of the most used and most versatile rooms in your house. Let us help you create the inviting space that you want and make it more functional to your needs. Don’t forget, a recently remodeled kitchen will also increase the value of your property should you be looking to list it for sale.